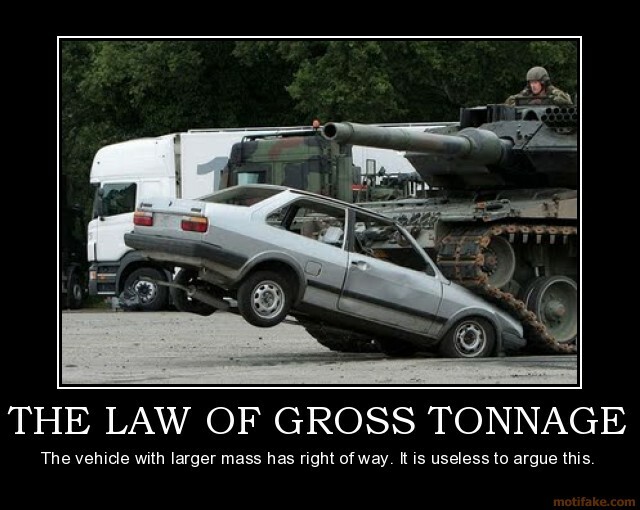 I had an ’88 VW Fox that was similar to this car, only mine was a 4 door, and I knew better than to run it into a tank. I am not your friendly neighborhood optimist. There are times when I wish I could be, but I was the kid who asked the catechism teacher* (*but NOT any of the teachers who were also nuns) where the bathroom is in heaven. I’m probably the only person on the planet twisted enough to ask that question, but it has a rational foundation. It’s always wise to know the proximity of the nearest crapper, and as much as I would hope eliminatory functions will not be necessary in the next life, I figure if there’s toilets in church, then the need for commodes might just transcend the Great Beyond. It would be my luck. 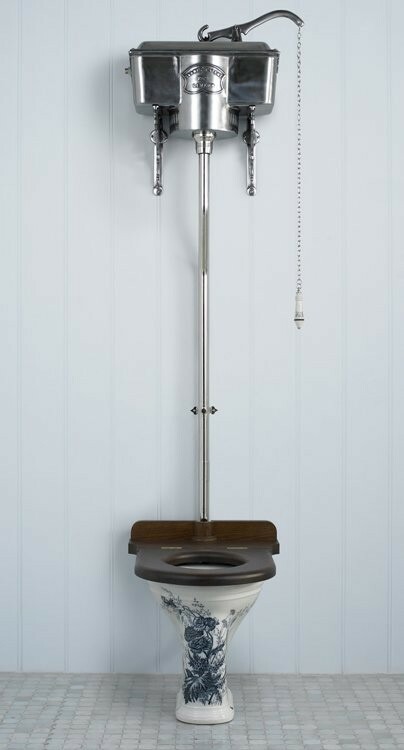 They would probably be cool old-style Victorian era crappers like this one. There was indoor plumbing in the late Victorian era, but only rich folks had it. Poor folks had to use the outhouse. My grandparents didn’t get indoor plumbing until the late 1950’s. No, I am not that old. I wasn’t born until the late 1960’s, so I don’t know about their particular outhouse from personal experience. The closest I ever got to a real outhouse was having to use the latrines at the Girl Scout Camp and the State Parks and/or Porto Johns. That was bad enough. I’m glad I don’t have balls. I do wonder, though, if it’s so nasty, why are you lingering long enough to pull out a Sharpie and make commentary on the Porto-John wall? For the uninitiated, outhouses may contain snakes, spiders, biting insects such as wasps and hornets, raccoons, mice and possums, or a combination of all of the above. Non-venomous snakes don’t really phase me. I have a ball python. 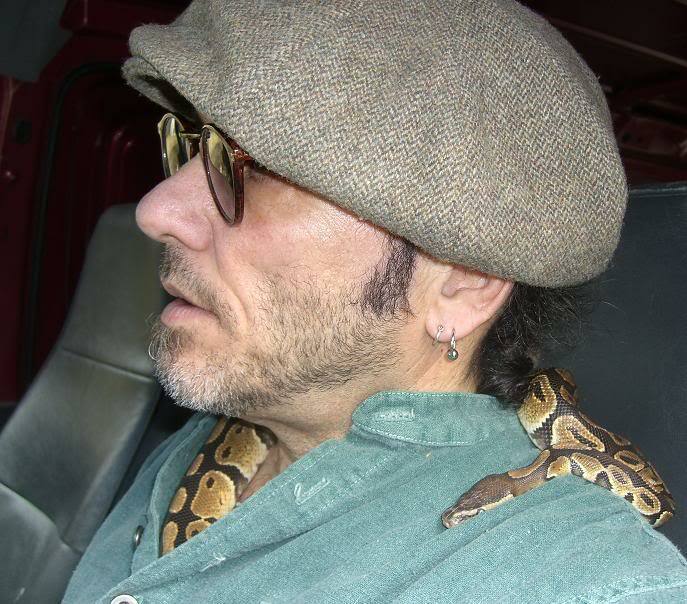 Jerry has a rather tempermental red-tail boa. But pythons and boas are constrictors. They can bite you and that’s not fun, but generally a bite from a constrictor will simply leave you with a few puncture wounds- not much worse than a cat scratch. It’s rare for constrictors that are handled to bite unless they’re hungry and you smell like food. This is a ball python. Pythons are NON-venomous snakes. I have one just like it, and I have no problem picking him up. He eats juvenile rats. Venomous snakes are quite another matter. I pretty much know what the “harmless” snakes, such as garter snakes, ball pythons, boas, rat snakes, etc. look like. Rattlesnakes and copperheads are NOT snakes to be handled unless you know what the hell you’re doing, and even those people get bit rather often and sometimes die from it. Perhaps I shouldn’t mock the snake handlers, but I think the Lord gives out something called “discernment,” and He would rather see people use that to avoid doing dangerous things, instead of people doing irrational things that increase the chances of them earning their Darwin Awards. I wonder if this disclaimer would hold up in court? Does it also apply to the coffee, or are Pentecostals allowed to drink coffee? I don’t take that snippet from the Gospel of Mark as a directive for going out and deliberately picking up rattlesnakes and copperheads or swilling poison for something to do, but I wasn’t raised in Appalachia or in the Pentecostal tradition. I was raised with old-school Catholicism, which is plenty scary enough, even without venomous snakes or cyanide being involved. We had to deal with nuns. 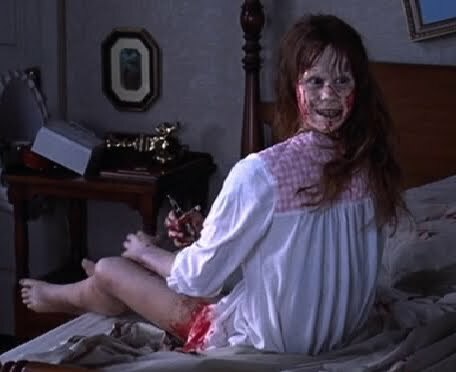 Most of the really creepy stuff associated with Catholicism has to do with the whole business of praying to the dead, people getting the stigmata, and exorcisms, and other way out supernatural freaky kinds of things. I don’t disbelieve in the supernatural, but I do believe that when the spirit world makes itself known here on earth that it’s usually demons and such behind it, and I’d rather steer way clear of that noise. I have my share of problems, but at least for now my head is screwed on straight, for what it’s worth. So, maybe I’m the only one to have made the inquiry regarding the necessity of the loo in the Great Beyond. Maybe not. 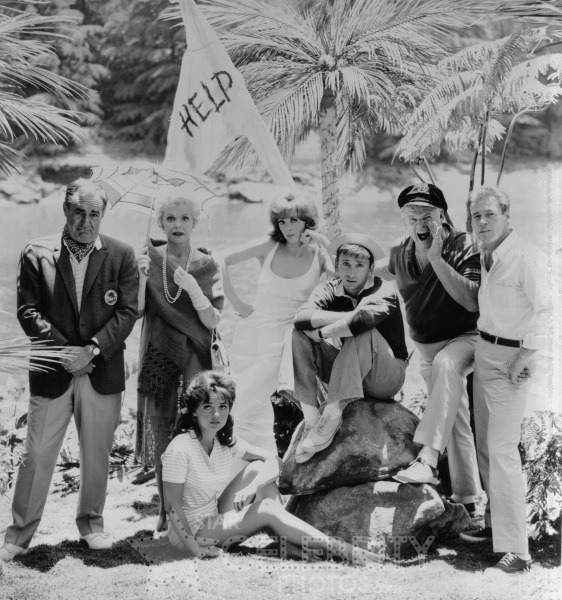 I’m not the only one who wondered why people’s clothes stayed clean on Gilligan’s Island even though they didn’t have either washing machines nor access to Tide. They are simply too clean. 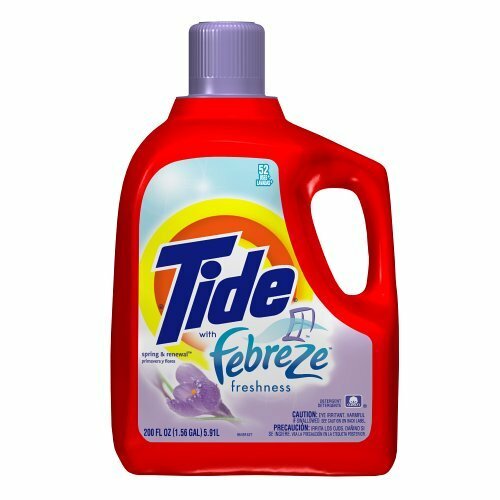 Maybe there was some of this under the seats in the Minnow or something. Fortunately my experiences with outhouses have been pretty minimal. If you don’t count Honey Buckets then I’ve maybe used a real outhouse maybe a dozen times. I don’t care for snakes at all–venomous or otherwise. Where I live it’s pretty easy to differentiate between dangerous and non, as the only venomous snakes we have are rattlers. 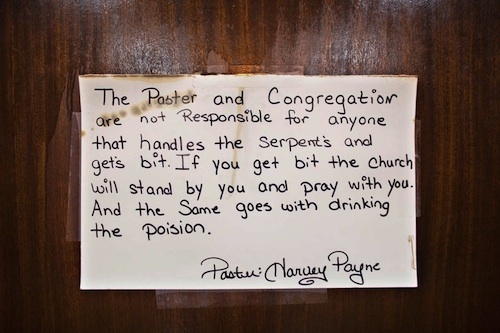 I’ve always been fascinated by snake handling churches. I’ve got quite a bit of sympathy for them, actually. 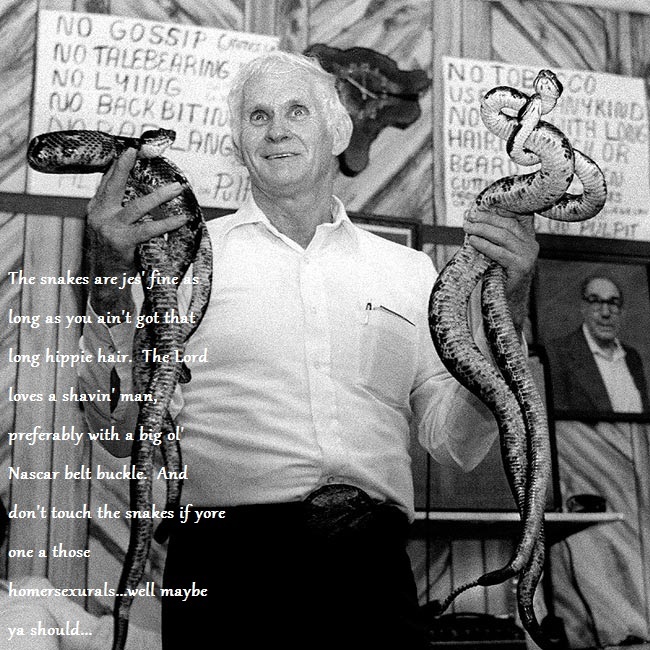 Most of the snake handling churches are in extremely rural and poor areas of WV. I have no real problem with non-venomous snakes- my ball python is very mellow, and even the boa isn’t too bad other than she’s big and therefore awkward to handle. But venomous snakes- no freaking way. If someone believes that’s a cool thing to do or it’s part of their worship, live and let live, but I’ll leave the venomous reptiles alone. Especially in places where there are banjos, mountains, and canoes, and it’s socially acceptable to produce offspring with first degree relatives.